I want to lift up the names of preachers who have made an impact in my life. This is part one of a series. These are not in any particular order . . .
DR. DONALD LEE PARSON, CHICAGO, ILLINOIS – The first time I heard Dr. Parson, he was the guest evangelist for my home church in Portland, Oregon and from that first night, I was hooked. What a tremendous preacher and even now, some 35 years later, Dr. Parson remains not only a mentor, but a friend. DR. ROBERT H. WILSON, SR., DALLAS, TEXAS – If you grew up in the National Baptist Convention of America, Inc., you had to know and meet Dr. Bob – Dr. Robt. H. Wilson, Sr., who brought the Foreign Mission Board into the millions of dollars of donations and was one of the premier preachers. Impeccably dressed, he was the style standard for many young pastors and preachers. BISHOP T.D. JAKES, DALLAS, TEXAS – Bishop Jakes has changed black preaching forever. What E.K. Bailey did for expository preaching, Bishop Jakes has done for a new style of preaching that mixes expository, extemporaneous and exegetical into a perfect blend of style and soul. DR. A. LOUIS PATTERSON, HOUSTON, TEXAS – I am a sold-out A. Louis Patterson fan. Whenever he’s in the area, I make it my business to hear the Prince of Preachers. I remember the first time I heard him, I was mesmerized by his theology and vocabulary skills. I met him personally when I served as his Facilitator during the Bishop College L.K. Williams Ministers Institute in his class on preaching. I’ve never been the same. DR. R.A. WILLIAMS, JR., LOS ANGELES, CALIFORNIA – What I am as an expository preacher is the “fault” of this preacher. Dr. Williams, who I knew as a teenager, took preaching to a new level, mixed it with whooping (and he was the first to be non-apologetic for the craft) and blew my mind. For many years in Portland, at the St. Mark Baptist Church, he was the preacher we wanted to hear in Revival. DR. E.K. BAILEY, DALLAS, TEXAS – Dr. Bailey and I met in Portland, Oregon when he did revivals at the Morning Star Baptist Church and I went to the early years of his conference in Dallas (I plan to return soon). He embraced me as a young pastor and every time we ran into each other, he always wanted to know how was I doing. I was with him at the National Missionary Baptist Convention of America shortly before his passing and a picture of him and I is one of my most precious photographs. He is responsible for black expository preaching being the standard. DR. MELVIN VON WADE, SR., LOS ANGELES, CALIFORNIA – Another one of the preachers that Dr. E.C. Wilder brought to Portland, Oregon. Manuscript Preachers love Melvin Wade because he has taught us that you can be expository, lyrical and poetic at the same time and still preach from a manuscript. DR. GARDNER CALVIN TAYLOR, NEW YORK CITY, NEW YORK – In my mind, no list is complete without the Dean of Preachers. I’ve met Dr. Taylor on several occasions and he is one of the greatest black preachers to have ever walked in the land. From his humble Louisiana roots – he never personified New York preaching, he created it; he set the standard for preaching and humility as a way to climb high. I’m glad that he saw his dream in Nashville – all four of the major National Baptist conventions come together not once, but once again in Atlanta. FRANKFORT, KY – The finishing touches are being added to a new book authored by Pastor Robert Earl Houston which will be released in April 2013. 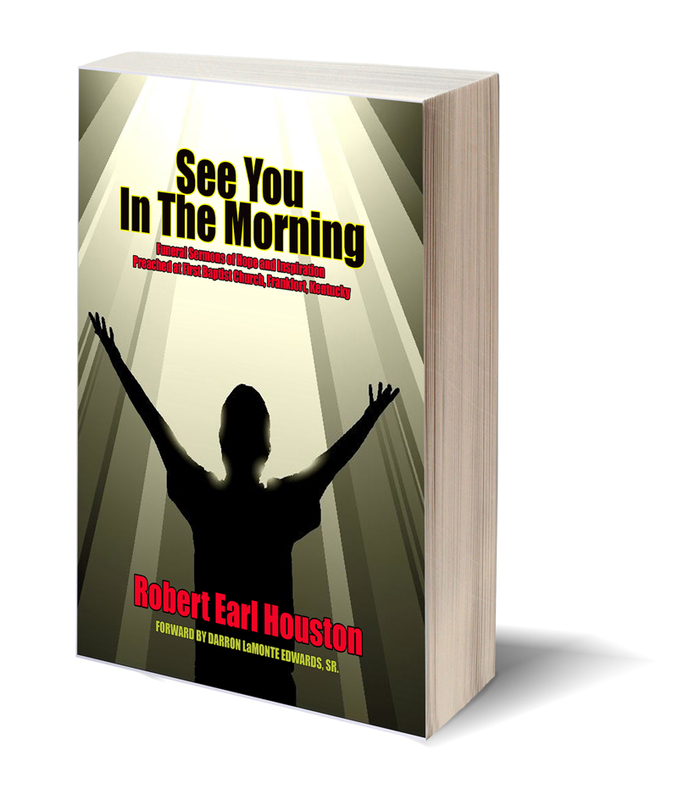 The book, “See You In The Morning: Messages of Comfort and Hope for the Bereaved,” is a great collection of messages authored by Pastor Houston. In this book, published under the imprint of hD Christian Publishers, this 100 page read will strengthen your confidence in the Lord’s word and promises, make you laugh, make you cry, and make you not only heal from the passages of time, but encourage you to look to a future with the Lord in eternity. Please go to http://www.roberthouston.org for updates on the book and we are proud to announce that the book will be carried via Amazon.com and will be on Kindle and iBooks through Apple. A special will be ran on http://www.roberthouston.org for autographed copies. The foreward writer is Pastor Darron LaMonte Edwards, Sr., pastor of the United Believers Community Church of Kansas City, Missouri. Pastor Houston is the 17th senior pastor of the First Baptist Church, Frankfort, KY and serves in various denominational venues as President, Kentucky State Convention of the Progressive National Baptist Convention; Chairman of the Publishing Board, General Association of Baptists in Kentucky; Board Member and Webmaster, Progressive National Baptist Convention; and has served congregations in Portland, Oregon, Fresno, California, San Diego, California and Nashville, Tennessee. He is a member of the Gospel Music Workshop of America and the Full Gospel Baptist Church Fellowship. He is the husband of Jessica G. Houston and they reside in Frankfort, the state capitol. Rev. Herbert Stroman, Houston, Texas, pastor of Christian Hope Baptist Church for fifty-six (56) years, crossed the threshold of labor to reward, on Monday, March 18, 2013. Memorial services were held Friday, March 22, 7-9 p.m. with visitation beginning at 6 p.m. Funeral, Saturday, March 23, 11 a.m. All services at Christian Hope Baptist Church, 3418 Anita St. Houston. Burial, Houston Memorial Gardens. Pastor Stroman is orginally from Brazoria, Texas. He is a true man of God, with many attributes. Pastor Stroman is an exceptional preacher, teacher, counselor, husband, father, grandfather, uncle and friend, who is always willing to help and ready to serve.. He served in the United States Armed Forces, after fifteen months in the service he was promoted to staff sergeant. This experience began his incomparable career in leadership. Rev. Stroman attended Union Theological Seminary, in Houston, Texas as also attended theological school at Bishop College in Dallas, Texas. Pastor Stroman is a man called by God to preach the Gospel of Christ. In 1957, Rev. Stroman was called to Christian Hope Baptist Church, in the Third Ward section of Houston, Texas. He accepted the task on the 7th of January, at that time was a second Sunday. In January 2011, Rev. 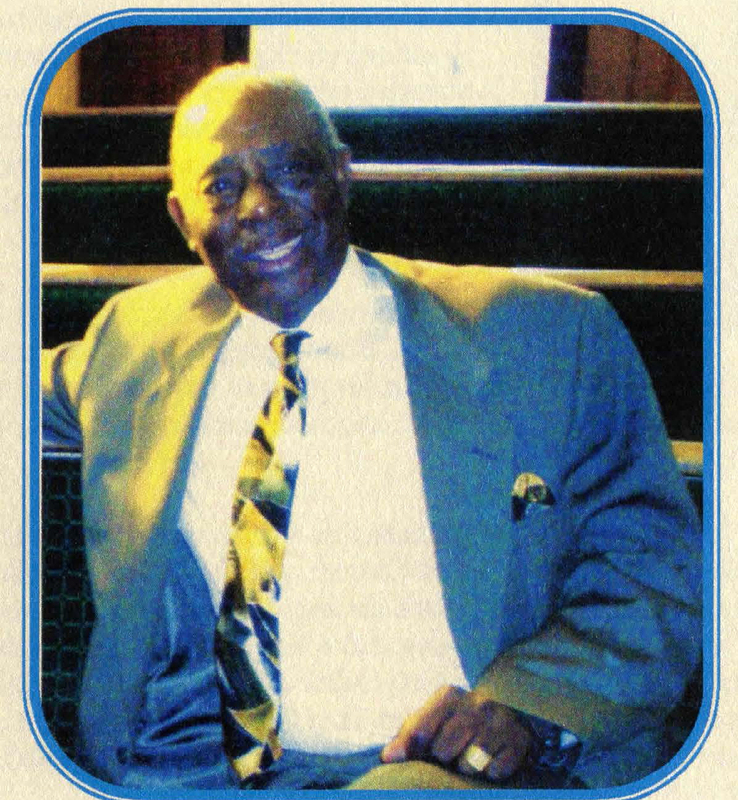 Herbert Stroman has served as the pastor of Christian Hope Baptist Church for 54 years. God’s grace has allowed Pastor Stroman to license thirty-eight (38) ministers (“Sons in the Ministry”). Pastor Stroman has said so many times that he prayed to the Lord for a church in Third Ward, and the rest is history. Pastor Stroman once served as Vice President in the Ministers Conference of the Independent Missionary Baptist General Association. He has also served on the Board of Finance for the National Baptist Convention of America. Baptist Born and Baptist Bred and When I Die . . . Enough is enough! I’m writing today to express my convictions and enthusiastic support of my decision, made some 37 years ago plus to accept Jesus Christ as my Lord and Savior through a Baptist Church. Nowadays, we’ve been the brunt of jokes, accusations, lies, hating, and really it’s ironic because in spite of some perceived and yes, some cases, real faults, the Baptist Church, especially the black Baptist Church, has continued to serve God while serving humanity. In every major city, there is a Baptist Church. In every small town, there is a Baptist Church. My goal in writing this blog post is to pen an opus to the Baptist Church. The Baptist Church evolved historically from the loins of the Reformation, Martin Luther’s confession, King Henry VIII’s split from the Catholic Church, and in this nation, the U.S.A., has thrived through the years, even in the midst of history making controversy, separation and divide. We may not be all in the same denominational home, but there is very little that separates us doctrinally. To be honest, the Black Baptist Church denominationally has NEVER split over theology. We’ve split over power, publishing boards and position – but never over theology. We all believe in the Bible as the inspired word of God. We all believe in the Articles of Faith. We all believe in the priesthood of the believer. We all believe in being led by the Holy Spirit. We all believe in the autonomy of the local church. And on and on and on. The Black Baptist Church were the “holy rollers” of yesteryear; The sponsors of higher education institutions; The front line spokemen of the Civil Rights era and even today important voices in the movement; The largest landowner of church buildings within our race; Entrepreneurs in our communities; Day care owners and operators; and the greatest benevolent endowment for African-Americans before, during and after the Welfare system. Our preachers are prophetic and practical; Trained and Spiritual; Evangelistic and Personable. We are the first called to the scene of tragedy, we were the first called to the scene of community unrest and we’re looked to as role models within our communities. We are there at births, there at weddings, there at funerals, and community events. Within our pews are professionals, day-skilled laborers, blue collar workers, white collar workers, the gainfully employed and they sit along side of those on Welfare, those who are seeking employment, those who have lost their jobs, lost their families, seeking direction, dealing with psychological and substance abuse issues – and yet these two extremes are always welcome at the Lord’s house and are inter-dependent one upon another. The Word of God is not our sidelight, it is our main focus. We don’t chase theological rabbits and we’re not seeking the next mystical unicorn. Although our order of worship varies from pulpit to pulpit, one message resonates every Sunday morning, “He died . . . and then early Sunday morning, He got up with all power in His Hand.” It is effective whether it is preached, shouted, whooped, lectured or taught. We refuse to say we don’t have as much Holy Ghost as others, in their arrogance, seem to suggest. We are spiritual men and women, boys and girls, who have accepted the fullness of the godhead – Father, Son and Holy Spirit – and we recognize the only manual for our faith and practice is the Word of God. We called each other Pastor, Brother, Sister not in disrespect, but in a familial sense because we call our churches our “church home.” We musically don’t sit on the back row – Baptists have produced Mahalia Jackson, James Cleveland, Kirk Franklin, and for years supported artists and quartets who were welcomed into our churches when the Convention Centers, Arenas and Performing Arts centers were off limit to negroes. Our worship varies – some of us sing reverently and some sing “full blast.” We’ve been known to sing, jump, run, flip benches, cry, weep, shout, and then have our moments of silent reflections. I am proud of my baptist heritage. I’m glad to be in the line that produced the National Baptist Convention, Inc., the National Baptist Convention of America, International; the Progressive National Baptist Convention; the National Missionary Baptist Convention of America; the Full Gospel Baptist Church Fellowship International; We have branches of Baptist Churches which include Free Will, Regular Baptist Churches, and the like. We were the root of several pentecostal movements, of which we don’t condone attack because we are brothers and sisters in the Lord. It was in the Baptist Church that I spoke publicly for the first time, sang for the first time, ushered for the first time, preached for the first time, played an instrument publicly for the first time. There are sons and daughters of the church who have gone on to other denominational homes, but they will tell you quickly, they had their start in the Baptist Church.Entertainers, athletes, judges, politicians and others will tell you of their genesis in the Baptist Church. Finally, we have a rich worship heritage that runs from quiet to loud and we have produced some of the most prolific and practical preaching in the world. Our preachers have set the standard for preaching. I can point at an E.V. Hill, E.K. Bailey, Joseph Harrison Jackson, Gardner Taylor, Martin Luther King, Jr., Ralph David Abernathy, Donald Lee Parson, Jasper Williams, the Wade Family, R.A. Williams, Jr., The Thurston Family, The Sampson brothers, Mack King Carter, C.L. Franklin, the Evans brothers, Robert H. Wilson, Paul Sylvester Morton, O.B. Williams, Adam Clayton Powell, J. Andrew Boles, Kenneth Ulmer, Freddie Dunn, Earl Pleasant, Timothy Winters, S.M. Lockridge, William Augustus Jones, Bernard Black, Robert Smith, Carl Anderson, Warren Stewart, C.E. Williams, and other names of the past and present and then point to the promise of the future in preachers like H.B. Charles, Jr., E. Dewey Smith, James Walter Hills, II, Kevin Wayne Cosby, F. Bruce Williams, Freddie Haynes, and others who will be heard on platforms, pulpits and convention centers – both male and female, and television sets in the future. I don’t know where I’ll fit in history, but I don’t preach for fame, I preach to fulfill my calling. Our worship rings in the major cities and can stop passer-bys on the sidewalk. Our preachers’ voices ring through the desolate areas of the deep, rural south. Our pulpits are made of glass, steel, and sometimes, homemade wood. Our baptismal fonts are grand modern designs or the nearest creek or riverbed. We’ve built churches, fellowship halls, classrooms, daycare facilities, ball parks, discipleship training facilities on our own and corporately we have been schools, publishing houses, and much, much more. We don’t make a lot of noise about it, because we don’t judge our relationship with God in comparison with our buildings, net work and bottom lines. We base our relationship with God in light of our fellowship, followship and acceptance of Him. This is not a rant against any other denomination. It’s an appreciation of the rich history and heritage we as baptists share. I’m proud to be a baptist born, a baptist bred and when I die, I’ll be a baptist dead. I welcome your comments . . .
Is It Your Calling or Your Job? In beginning the process of completing my Internal Revenue Service tax return, I came upon the line that asked for my occupation. Today I’ve been thinking about that over and over and over again – is ministry my calling or is it my vocation? In 1978 while a student at Multnomah School of the Bible (now Multnomah University), a group of pastoral theology majors (me included) would have out at the local Burgerville, USA restaurant (don’t laugh – they have one of the best hamburgers in the country). Many of the names are a blur but the conversation one day wasn’t. It was in regards to the call of ministry. It was prompted by a tremendous lecture from our professor, the late Dr. Kopp. A couple of us went on to describe our “call” – how the Lord had spoken either verbally and indirectly into our lives and we had responded to the call by surrendering our lives and life ambitions into the hands of the Lord. I was proud to say that the Lord had “called” me at the tender age of 17 and I felt led to prepare for a lifelong ministry. Then the conversation took a turn for the worst. Methinks that with some ministers today, those kind of illustrations are not just theory. Sadly, some ministers go because of talent instead of gifts; oratory instead of pneuma; a business plan instead of vision. Ministry is not a job, it’s a calling. It’s not a vocation, it’s a calling. It’s not something that you study to become, it’s something that you study because you are. Ministry is a calling! The New Testament bears witness of Jesus calling His disciples (John 6:70 and other references) and that call is continued by Him through the Holy Spirit (Acts 9). There are volunteer workers to support the ministry, there are volunteers that financially support the ministry, but there are no recorded volunteer preachers. You’re either called or your not. For those of us who are called, ministry is not performance. We don’t seek public affirmation of what the Lord has led us to do or preach. We don’t gauge this week’s sermon by last week’s sermon. We view a “flunk” in preaching as a bump in the road and not the reason for resignation. We view our ministries in terms of seasons instead of years. I don’t know whatever happened to those guys. But I do know what happened to the one who is writing this blog – he is a minister. I haven’t written a re-cap in the past two months. This has been a period of transition for me and the people of First Baptist Church. Transitions are normal in the church. When I was a young pastor in the late 1980s, I used to dread change. I, naively believed, thought that the church was a close-knit, non-changeable unit. However, I have grown to realize that since the church is an organism and not an organization, change is inevitable. Pastors change, Ministers change, Staff changes, and yes, even membership changes – by death, by relocation, by “back sliding” and a plethora of other reasons. We are in great transition right now due to the relocation of our faithful minister of music, Minister Elijah Griffin and his family. God forever bless him for his faithfulness, loyalty and humility. He not only led our music ministry but he also led our men’s ministry in excellence. He’s hard to replace but God will raise up leadership. We’ve got our men’s ministry in capable hands of Deacon John McIntosh and we’re praying for a Minister of Music (MoM). Worship leans a lot upon the music presentation, I admit. A good MoM is an asset to the pastor and people of a local church. Right now, I’m having to perform double duty – Senior Pastor and playing organ and keyboard for our music ministry. Temporarily, I’ve suspended our music ministry to just two choirs – The Magnificent Mass Choir and the Men of Praise, until the position is filled. I am eagerly waiting to fulfill this position. Preaching twice a day and playing is a burden. But let me tell you what the Lord did today . . . In spite of transition . . . In spite of the snow . . . In spite of building under remodeling . . . In spite of laboring over the affects of a cold . . . The HOLY SPIRIT came in and made His presence known. Yea, He truly is the comforter! 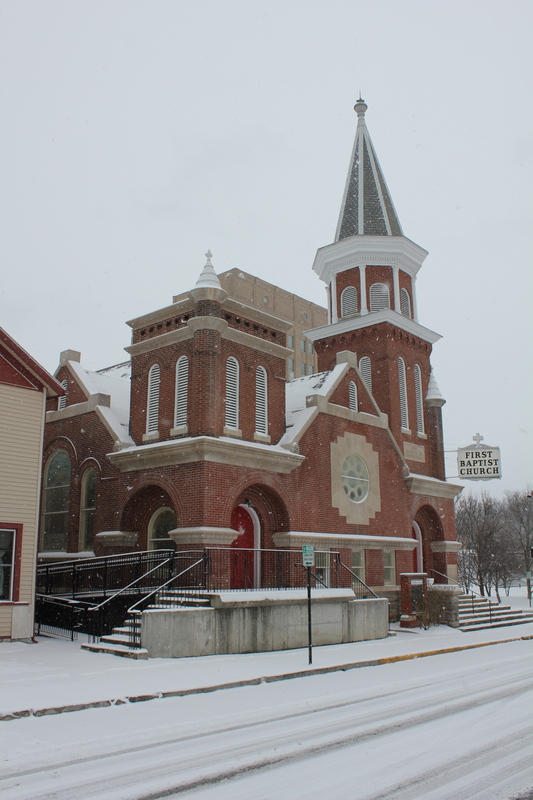 At 8 a.m., as we watched unexpected snow fall, we had a good 11:00 a.m. service (which will be our televised service next week). Prior to the sermon, Minister Angela Washington ministered to us with “He Was There In the Midst of It All” with the assistance of a music track. She had no idea how that lined up with the morning message. The sermon today was “He’s In the Fire” which is found in Daniel 3. I’m doing a series of sermons about the efficacy of the companionship of the Lord in the various times of our lives. The sermon was from a thought within a sermon I heard from my home church’s pastor, Rev. J. Walter Hills, II, who preached and looked at Jesus being in the fire. That set off the discussion in the sermon. God was kind to the preacher and to the sermon. I then preached and the Holy Spirit did something awesome. I’m used to (and prefer having) an organ to “help me close” the message melodically. However, today there was no such accompaniment and the Lord blessed. Sometimes I think we rely (as preachers) too much on an organ to determine what makes or breaks a sermon. If the Holy Spirit is not present, you can have the best organist in the country – you can die the death of 1,000 preachers still. The after-glow of the sermon flowed into the Invitation and then into Communion. One of my members, Deaconess Martha McIntosh started singing “I’m So Glad I’m Here” and the song then moved throughout the congregation – with just a beat of a drum (thank you Christopher Stallings) – and the praises went up, tears were flowing, and no one even realized that there was no organ nor piano. It was “church” in the old-time way.